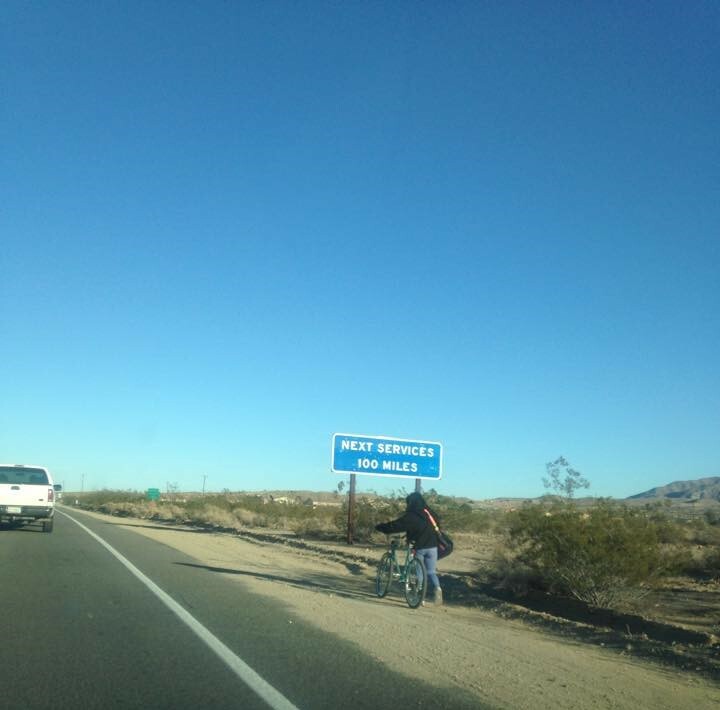 After crossing the Colorado River I entered California and began westward journey to US 95. My next major destination was Needles which I intended to reach via California State Route 62 and US Route 95. Both CA 62 and US 95 are routes I've driven in full several times in California. Since I don't have a ton of pictures from 2016 I thought that would highlight the history of both highways in addition to throwing some older photos for context. CA 62 is a 151 mile east/west highway which traverses through San Bernardino County and Riverside County. Westward CA 62 begins at the Colorado River in the Sonoran Desert and the spur route of AZ 95 at the Arizona line. 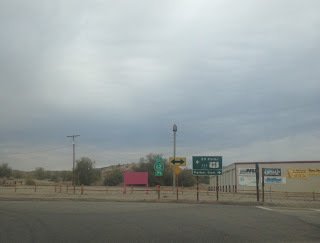 Progressing westward CA 62 follows Aqueduct Road for approximately 17 miles before meeting US 95 in Vidal Junction which is the location of a state Agriculture checkpoint. West of Vidal Junction CA 62 enters the Mojave Desert and runs on Rice Road. 18.4 miles west of Vidal Junction is the ghost town of Rice which was a feature on this blog previously. 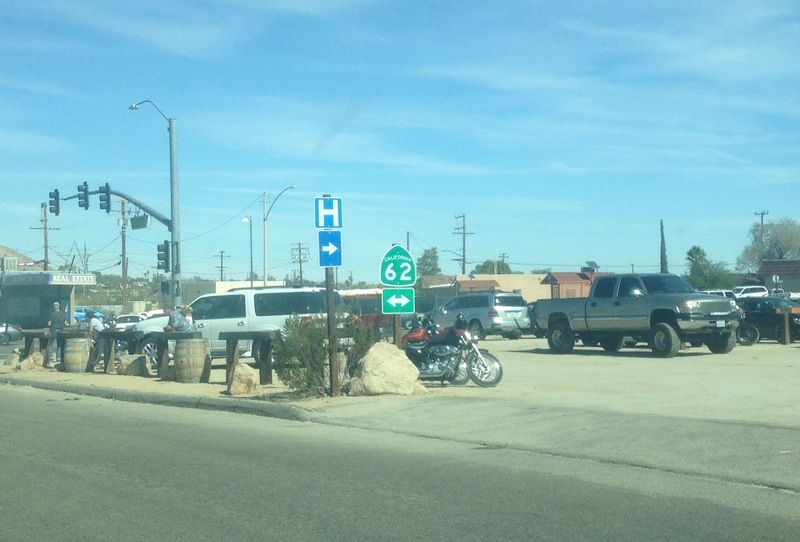 Approximately 22 miles west of Rice CA 62 dips into Riverside County and has a junction with CA 177. 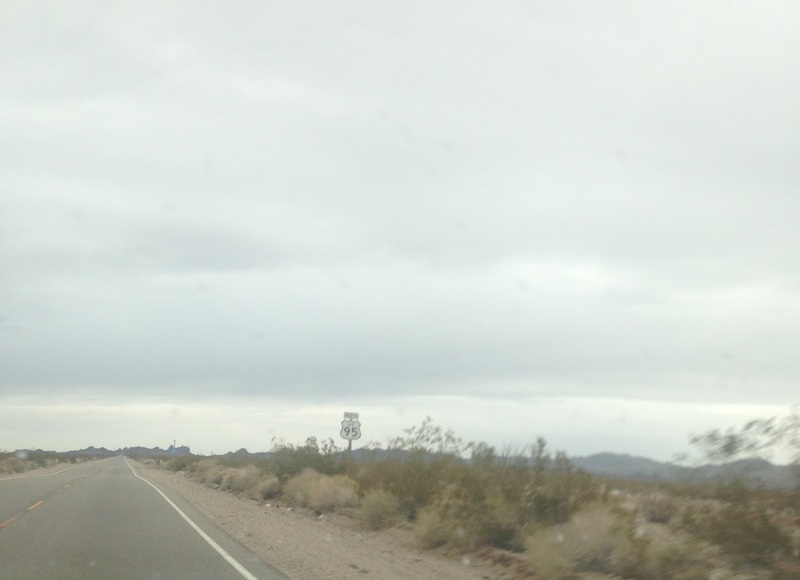 CA 62 continues west on the Twenty Nine Palms Highway while CA 177 is the continuation of Rice Road to I-10. I plan on featuring CA 177 later this year as I've used the route countless times. I even have a CA 177 shield in my garage which collected since it is such a common route I've frequently visited. 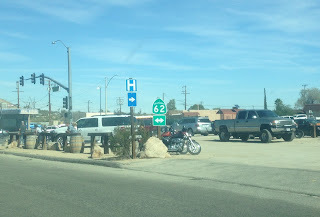 CA 62 quickly reenters San Bernardino County and runs on Twenty Nine Palms Highway through open desert for approximately another 51 miles to the city of Twenty Nine Palms. Although it isn't signed westbound the section of CA 62 from the Arizona State Line to Twenty Nine Palms is the longest stretch of state highway in California without services at 100 miles. 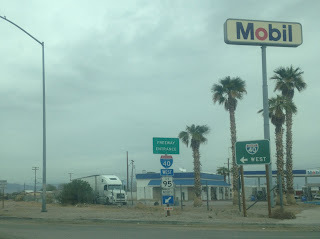 There is a 100 miles without services sign on CA 62 eastbound leaving Twenty Nine Palms east of the Utah Trail. 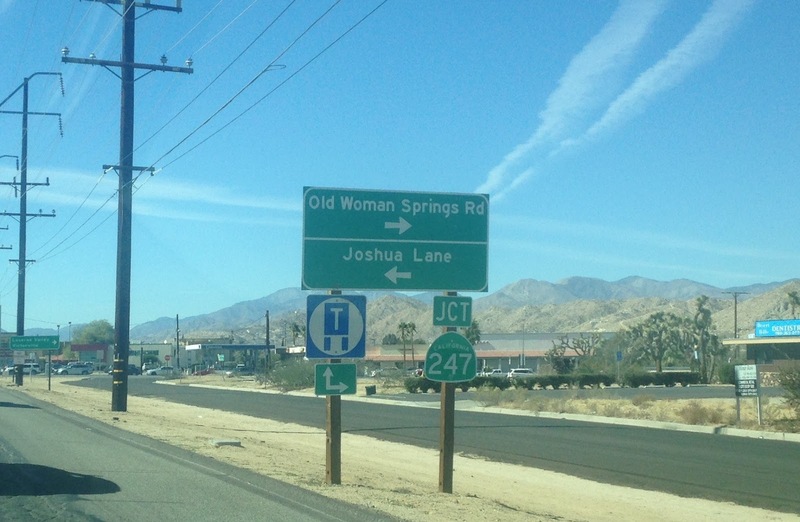 Within Twenty Nine Palms CA 62 has access to Joshua Tree National Park in several locations; the Utah Trail, 49 Palm Canyon Road, and Indian Cove Road. To the west in downtown Joshua Tree CA 62 connects to Joshua Tree National Park via Park Boulevard and Quail Springs Road. I took this picture of a CA 62 shield later in 2016 while heading north out of Joshua Tree National Park on Park Boulevard. In Yucca Valley CA 62 has a junction with CA 247 at the infamously named Old Woman Springs Road. West of Yucca Valley and CA 247 the alignment of CA 62 passes through Morongo Valley before reentering Riverside County in the Little San Bernardino Mountains. After CA 62 descends through the Little San Bernardino Mountains it terminates at I-10 in the Sonoran Desert near San Goronio Pass. CA 62 was not part of the original run of Signed State Highways. CA 62 was part of Legislative Route 187 which was adopted in 1933 according to CAhighways.org. The first section of what became CA 62 shows as a state highway between US 60/70/99 in White Water north to Morongo Valley in 1936. On the 1960 State Highway Map a proposed extension of LRN 187 to CA 18 and Lucerne Valley is shown on the state highway map. By 1962 LRN 187 reached Yucca Valley and had a junction with LRN 218 east to Twenty Nine Palms. According to CAhighways.org LRN 218 was defined in 1961. In 1964 LRN 187 from Whitewater to Yucca Valley and LRN 218 were renumbered as CA 62. the change can be seen by comparing the 1963 State Highway Map to the 1964 State Highway Map. Sometime between 1970 and 1975 CA 62 was completed east of Twenty Nine Palms to the Arizona State Line. US 95 was not one of the original US Routes within California. The modern alignment of US 95 enters California in San Bernardino County northwest of Needles via Clark County and uses an old alignment of US 66 southward to reach I-40. US 95 multiplexes I-40 to Needles where it splits south towards CA 62. South of CA 62 the alignment of US 95 enters Riverside County and continues to I-10 in Blythe. US 95 multiplexes I-10 into Arizona and I believe is the only two state maintained highways with the same endpoint in California. The alignment of US 95 from the Nevada State Line south to Blythe was part of the original CA 195. CA 195 was slightly different than the alignment of US 95 in that it continued south of Blythe on what is now CA 78 to Palo Verde. CA 195 was a signing of the entirety of LRN 146 which was apparently adopted in 1933 according to CAhighways.org. CA 195 can be observed in full scope described above on the 1938 State Highway Map. Interestingly the section of US 95 between I-40 and Goffs Road was part of the original alignment of US 66. Some time between 1930 and 1932 US 66 was shifted south on a more direct route between Needles and Essex. Interestingly it appears that US 66 was on a County Maintained roadway when it ran on Goffs Road. By 1939 US 95 was extended south into California where it ended at US 60/70 which was on Hobson Way in Blythe. USends.com shows the endpoints of US 95 and the new routing can be seen on the 1940 State Highway Map. According to USends US 95 was extended into Arizona in 1961. 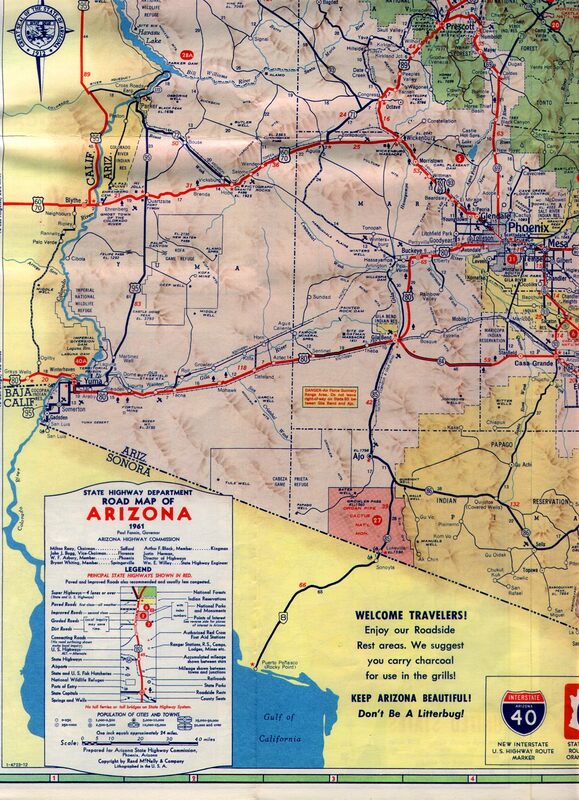 The California State Highway Map don't show enough detail to show the US 95 extension but the 1961 Arizona State Highway Map does. As for my trip up US 95 it was very uneventful. 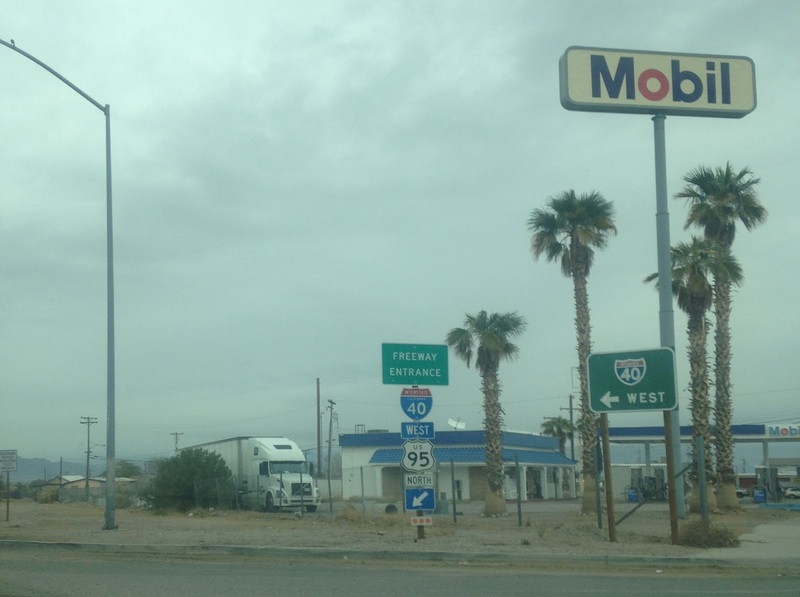 US 95 has numerous dips and dives as it straddles the line between the Sonoran and Mojave Deserts north of CA 62 but it is generally a fast trip given it is mostly signed at 65 MPH. I found myself in Needles in fairly short order and jumped onto I-40 westbound. My next destination was an former US 66 in Essex west to Ludlow. Made the drive between the Blythe Airport and Needles Airport many times. I was a weather observer that worked both sites before they were automated. Late 1980s and early 1990s. Very desolate drive, lots of dips that is for sure!